The quality of modern freeware for making music often rivals that of commercial products - but there is a preconception that the best music-making freeware is PC only. With this in mind, we've picked out the very best music freeware for Mac, and compiled the handy list below. It's divided into the loose categories of synths, effects, real instruments, sequencers, samplers and utilities/other. SonicBirth is a modular plug-in development environment similar to SynthEdit and SynthMaker. The aforementioned programs enable users to cobble together their own instrument and effect VST plug-ins from the included modules, but are sadly PC-only. SonicBirth is a Mac equivalent. This experimental analogue synth may look odd, be monophonic and only feature one oscillator and filter, but believe us when we say this thing is a leviathan. Staggeringly realistic analogue basses, all squelch and squeal, are a speciality, as are gargantuan unison leads. Every so often we stumble across a freeware synth of such quality that it gives us reason to re-evaluate exactly how much we should be paying for commercial offerings. Audjoo Helix is that kind of instrument. It's a spectral morphing four-oscillator synth - it sounds amazing and it's rammed with advanced features, too. Togu's TAL-Bassline is a clone of Roland's SH-101, one of the biggest-selling monosynths of all time. It's a nearly pixel perfect recreation of the SH-101's signal-path, although it omits the original's simplistic sequencer. The TAL-Bassline doesn't sound exactly like the real thing, but it pleases in precisely the same way. Luxonix's LFX-1310 multi-effects processor takes its cue from the multi-effects modules of old. It offers a trio of slots into which you can insert any one of 24 effect algorithms. Effects include reverb, delay, chorus, tremolo, distortion, auto-wah, EQ, compression and more and they sound good across the board. It's also incredibly light on your CPU. You'd be hard pressed to think of many manufacturers making costlier gear than SSL. But SSL's vintage compressor, the LMC-1, is freeware. It's an emulation of the compressor used to create the legendary gated drum sound found on Peter Gabriel's intruder and Phil Collins' In The Air Tonight. When (if) you need that sound, the SSL LMC-1 can't be bettered. While delay may seem a fairly straightforward effect, many dub producers (and those of other genres) have embraced delay as an intrinsic compositional and creative element. TAL-Dub is a simple but comprehensive delay ideal for dub and more besides. It features two independent channels, retro sounding filters and even MIDI learn. Crayon Filter is a powerful, super-squelchy multiband filter. It offers low-pass, high-pass, peaking and notch filtering, all with a screaming, squelching resonance, should you want it, and an additional kick in the backside courtesy of the Drive function. You can even enable more than one filter mode at a time. Berrtill is an attempt to recreate a specific circuit-bent signal path consisting of a car speaker, a 'remade' tape recorder with a jack input in place of the tape head, a toy microphone and a toy amplifier. A kazoo (we kid you not) is thrown in for good measure. The result is gloriously noisy and not for the fainthearted. Where would dance music be without the 'trance gate'? Originally, this pulsing effect was created using a technique called Sidechaining, where increased volume (usually the kick drum) of one part would 'duck' the volume of another. Nowadays, this thumping sound is often created by a standalone plug-in, and StormGate1 is an excellent example. We won't get into the debate surrounding the so-called loudness war here, except to say that compression is always going to play a vital role at both the tracking and mastering stages. For mastering, a multiband compressor is what you need - that is, a compressor that applies different amount of compression to different frequency bands. C3 offers three bands and a built-in limiter, and it's relatively easy-to-use, too. Blockfish is a compressor that operates in either VCA or opto mode and, with only four knobs, it's encouragingly easy-to-use. As an added bonus, you can 'pop the hood' to adjust the trim pots on the circuit board. Superb. Transients are one of the primary identifiers of any sounds. They're the attack portion, the initial burst of frequencies such as a pick scraping across guitar strings or the reed kicking into life on a saxophone. These first few milliseconds trigger our recognition of a sound, so messing with them can create some really interesting effects. Flux's Bitter Sweet II let's you do just that - it's essentially a transient volume control. It might be a cutdown version of Yellow Tools' incredible Independence sound module, but this still has a massive 2GB of content - making it bigger than any other free module. There are no time or save restrictions, but you can't import your own samples. Kore Player is based on NI's powerful Kore 2 system, and features a great library of high-quality sounds. Compared to Yellow Tools' Independence Free, its lacking in editing features, but makes up for this through ease of use. 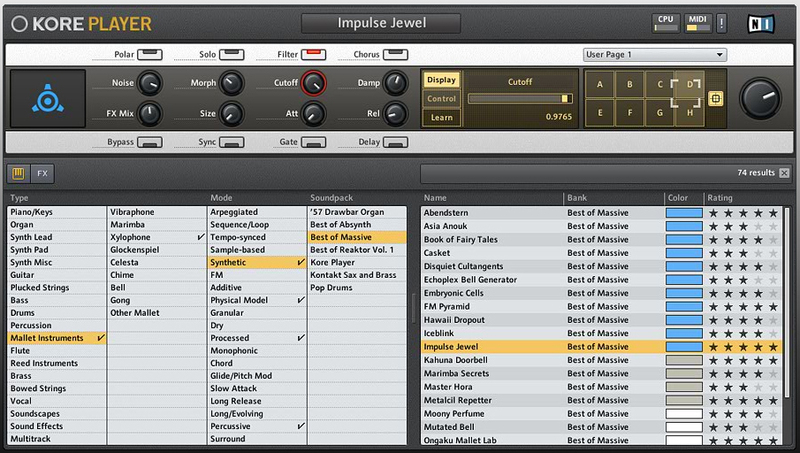 Each sound has eight editable parameters, making it easy to get stuck-in and get on with making music. Ticky Clav is a high-quality Hohner Clavinet emulator - the keyboard instrument that was made famous by Stevie Wonder's Superstition. Rather than employing samples, Ticky Clav instead uses physical modelling to generate its top-notch tones. Throw into the equation a very usable wah-wah effect and you have a great plug-in; Ticky Clav is simple but very effective. Renoise is a powerful, VST-hosting tracker - arguably the most accomplished tracker to date, and is both versatile and easy-to-use. If you've never used a tracker before, don't be put off by the machine-code-like appearance of the main editing screen. Ultimately, it's just a display of simple note and effects information that is easily understood and, for the proficient music maker, makes the creation of music far quicker than is possible in traditional sequencers. Mu.lab Free is an audio/MIDI sequencer and recorder with a reasonable synth, effects plug-ins and the ability to host third-party VST plug-ins. This is a complete package (although you're limited to six tracks) with enough under the hood for you to produce great music without spending a penny. Creative's SoundFont sample format used to be tied to its Sound Blaster soundcards. Today, freed from its shackles to the hardware, the SoundFont is as popular as ever, being most plentiful on free sample websites. Reason's NN-XT and Kontakt both support the format, but if you want a free alternative, give the BS-0 a go. Instant Sampler is a truly bizarre tool. Half-effect, half-instrument, it samples audio on the fly after receiving a MIDI note-on command. That audio is then chopped and snippets are replayed when notes are played. Looping can be manipulated in real time via the mod wheel, and you can reverse the slices according to the incoming velocity level. Confused? Check out the audio demos on the website. Ilio has been providing professional quality samples for yonks, but has now teamed up with Muon software to offer Satellite Pro and Satellite Free, a pair of samplers designed to ply Ilio's commercial sample sets. However, unlike many similar products, Satellite Free lets you import a number of formats, including WAV, AIFF, REX1, REX2, ACID and Apple Loops. Studio Devil's BVC goes against the grain of the majority of today's amp simulators - both commercial and freeware - in that it doesn't try to emulate a host of different amp and cab models. BVC focuses on just one (the Marshall JCM 800) and the results are impressive. It's capable of all tones from mellow and clean to aggressive metal, but really excels at classic rock. The Wiinstrument lets you take a Nintendo Wii controller and put its motion sensing features to use by converting your movements to MIDI events. You just need to set up OS X's native MIDI routing options and you're away; a spot of air drums or some MIDI CC action for controlling plug-ins - whatever takes your fancy. Beatport Sync is an iTunes-style music player with DJ-friendly features that's based on NI's Traktor 3 DJ software. It offers a music organiser that helps you collect and manage all of your tunes, including those in your iTunes library or connected iPod. The DJ aspect of the program is its innovative dual player (deck), which enables crossfading and even beat-matching. No EQ, effects or scratching, but for basic DJ mixing it's ideal. Ever thought about triggering MIDI from audio, perhaps to replace a wimpy kick drum sound with an extra crispy sample? Perhaps you have something more experimental in mind? KTAudioTrigger may be what you need. Inserted as an audio effect, the plug-in generates MIDI events which are sent to one of your instrument tracks. Filters, envelopes and more make KTDrumTrigger a very interesting tool. Mixxx is an open-source DJ mixing app with two virtual decks on offer. The software actively estimates each track's tempo to assist your beatmatching efforts, and tempo changes are executed without repitching the track. You can grab on a playing track to push or pull it, including stop-play and reverse-play. All-in-all, a very complete mixing tool. FreeG is a very handy plug-in to have in your arsenal. It combines metering and gain adjustment in an attractive package. What makes it stand out is its well-considered user interface and collection of simple yet very useful audio tools. The large meter offers RMS and peak readings, and amplitude adjustment features include a fine-tune mode and a gain trim that's independent of the fader - ideal if you need to tweak an already automated track. Impromptu is a programming tool for creating real-time audio and visual compositions. Non-programmers can grasp it, however, with rewarding results. The performer (you) starts with a blank screen and a writes code on the fly that generates and manipulates the performance. MIDI I/O is supported, too, as are AU plug-ins. Check out the videos on the gallery page for inspiration. soundhack is a complete and at times exotic sound designer's toolkit. 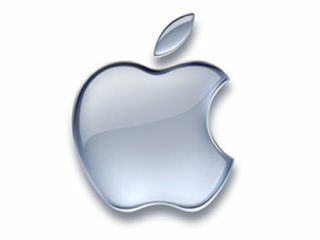 Its status is legendary in the Mac audio community, where it has provided advanced audio processing facilities for many years. Processing options range from the simple (normalise) to the truly exotic QTCoder, and the functions include Binaural sound positioning, Convolution, Spectral Dynamics and Mutation, which breeds a new sound from two others. Mid/side processing is a mastering secret weapon to fix, improve or add character to a stereo mix. An M/S encoder places the mono (the mid) elements of a stereo signal on the left channel and the stereo (the side) elements on the right channel, so they can be edited independently before being recombined at the end. It's witchcraft - but it works. Inspector is the Swiss Army knife of metering plug-ins. It has all the basics and whole lot more. The plug-in provides a level meter, as expected, but it comes with a frequency analyser and a stereo balance indicator as well. It all comes wrapped up in a clean, attractive user interface. LilyPond is a score entry and manuscript printing application that places a premium on the beauty of the printed score. Score entry is swiftly achieved using simple text commands entered with a text editor. The process is similar to creating a webpage using HTML. MidiPipe is a programmable MIDI patchbay. It provides all you need to construct multiple MIDI circuits, called 'pipes'. These pipes can merge inputs, filter unneeded or troublesome messages, split MIDI streams by note range or MIDI channel, and transform one type of message to another. Dig deeper and you can even trigger Applescript programs and more.